Here she is - Skye/Daisy/Quake. I can't wait for the Season 3 Premiere tonight!! Ihor did an amazing job on this piece as always!! Love how she turned out!! The rendering on this is excellent. i agreed. ihor did a great job!! Like the crack in the SHIELD symbol! Nice touch! thats was all ihor! but thank you. Did you planned to do the Ghost Rider who appeared in Agents of SHIELD ? 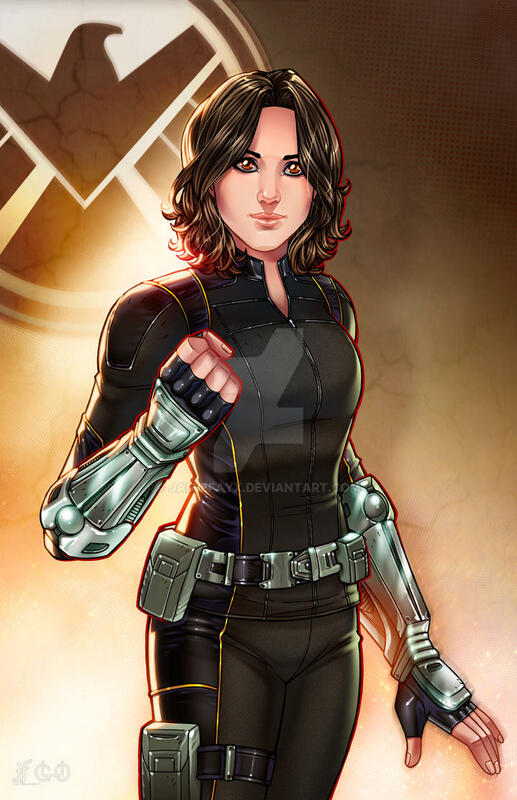 I love this drawing, Daisy/Skye/Quake is one of My favorite characters ever . Great! You know, something about her whole situation with Hive just screams "AMNISIA INCOMING!" She really looked like the real thing. nice work Jamie. Would you mind if I featured your art on my tumblr?